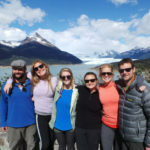 From the moment you call or email you will be amazed at how knowledgeable our Trip Specialists are, and custom designed South America trips are where we shine. There’s nothing we love more than listening to passionate travelers, getting to know them, and collaborating to create their perfect trip. 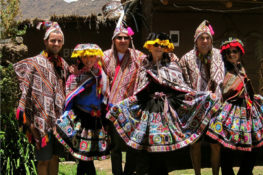 That sincerity along with our vast knowledge and relationships throughout South America sets us apart. We’ll listen to your thoughts, discuss ideas, and put together a no-obligations detailed trip proposal and continue refining it until it perfectly aligns with your interests, travel dates and budget. Born of the idea that travel is a unique expression of independence, liberation, and curiosity, Knowmad works with independent-minded travelers looking for unique and authentic journeys that are exceptionally well planned. We take out the stress, not the adventure. Learn more about our travel philosophy. Your travels should be as unique as you are. Using your tastes and interests as a compass, our experienced team will create a unique, custom itinerary for you. We will continue refining this no-obligations proposal until arriving to your perfect trip. Learn about the travel planning process. You simply will not find a trip with the same services for a better price than the custom trip Knowmad will create for you. If you do, let us know and we will refund the difference. The quality and value of your trip with Knowmad will be unsurpassed. Get off the beaten path and go deeper. We know how to get where others don’t, with excursions that get you closer to the people and landscapes so special to each place. Browse our sample itineraries to get an idea of what there is to do in each destination. Discover a country through a local’s eyes. 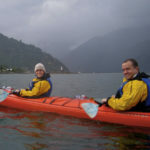 Travelers consistently tell us having a local private guide made a great trip into an unbelievable one. Most trips blend guided excursions and self-discovery. Knomwad has the best guides in South America. Meet the team here. Knowmad works with exceptional properties that complement their surroundings, whether a remote lodge, boutique hotel, traditional estancia, aboard a yacht, or in a luxury base camp. Our team personally inspects hundreds of properties every year and objectively helps you choose those perfect for you. Browse through our sample itineraries to see their featured accommodations.